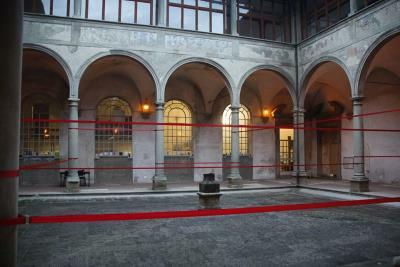 Sound Installation in collaboration with Elena De Angeli - Chiostro Del Levante in Florence. The work is based on an historical and acoustic investigation of the Renaissance space. Field recordings recorded within the place mixed with readings of medieval texts and liturgical pieces by Coro Stella del Mare. Selection of the texts: Elena De Angeli.